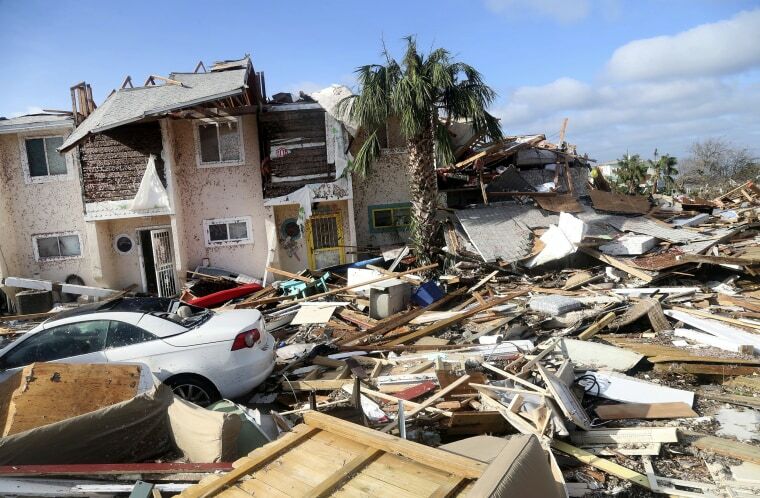 Hurricane Michael slammed into the Florida Panhandle as one of the most powerful storms ever to hit the U.S. mainland. 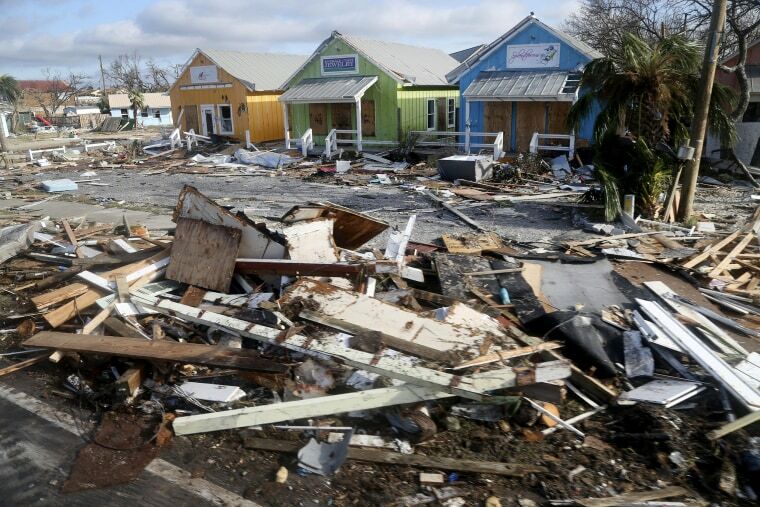 The coastal township of Mexico Beach lays devastated after Hurricane Michael made landfall on Wednesday in the Florida Panhandle. 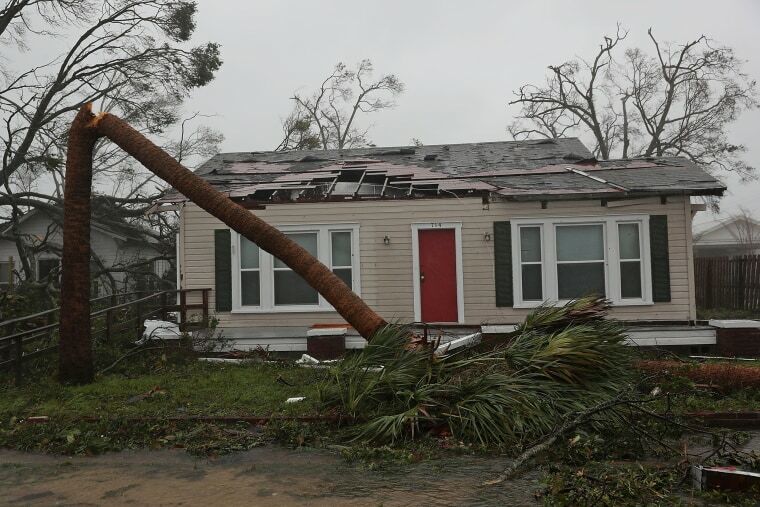 Hurricane Michael's battering waves swamped streets and docks and shrieking winds splintered trees and rooftops. 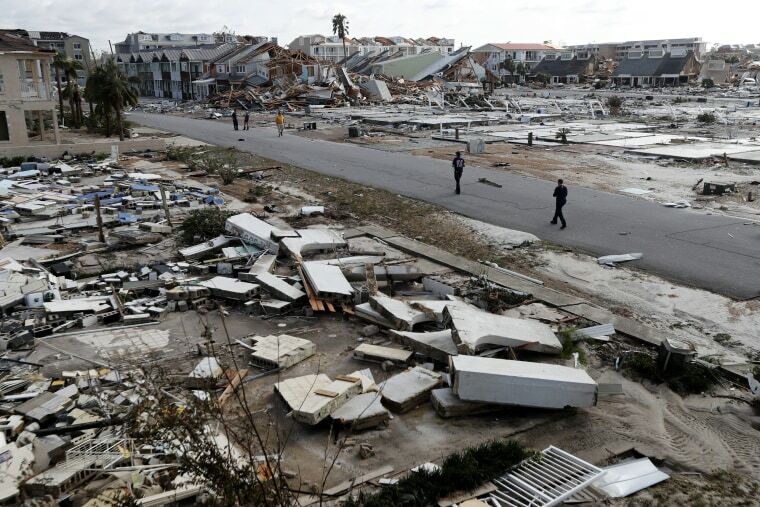 Debris from homes destroyed by Hurricane Michael litters the coastal township. 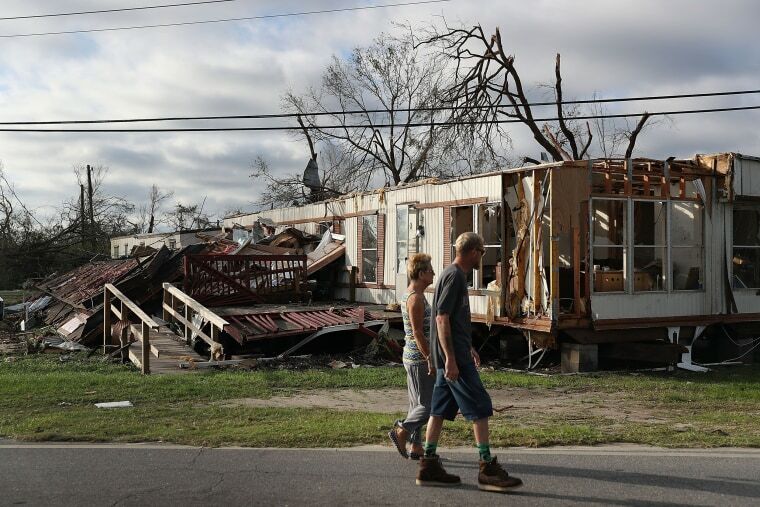 A mother and her son walk down a street damaged by Hurricane Michael. 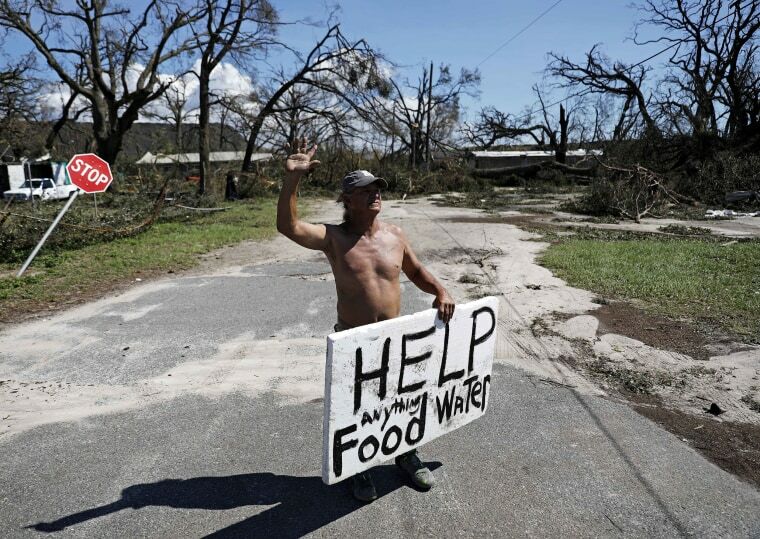 Michael Williams, 70, waves to passing motorists while looking for food and water as downed trees prevent him from driving out of his damaged home with his family in the aftermath of Hurricane Michael. Paul Dean stands in front of his damaged property. 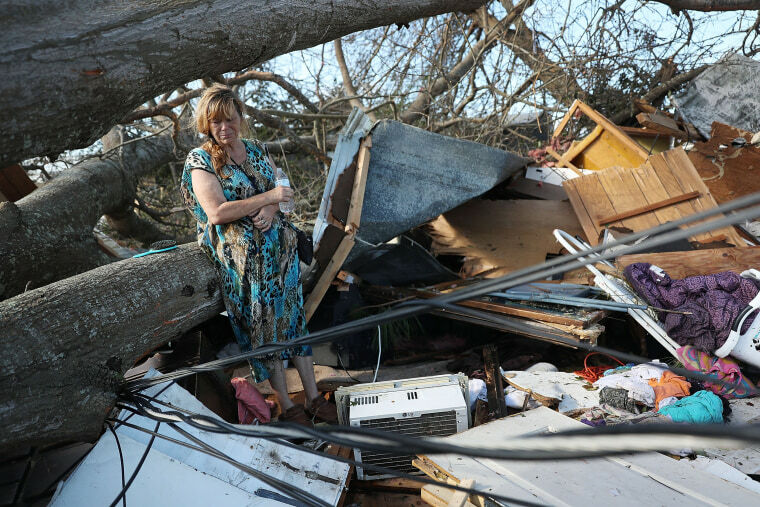 Joyce Fox stands in front of her heavily damaged home in the aftermath of Hurricane Michael. 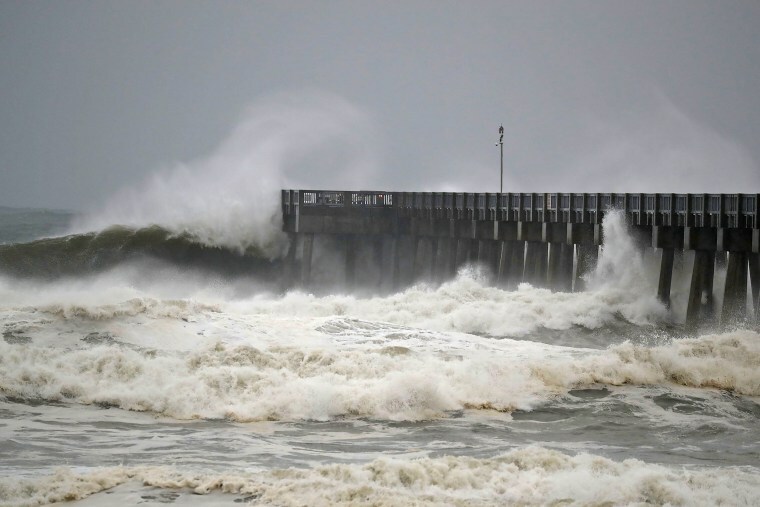 The hurricane hit the Florida Panhandle as a category 4 storm. Rescue personnel search the debris. Kathy Coy stands amid the wreckage of her home. 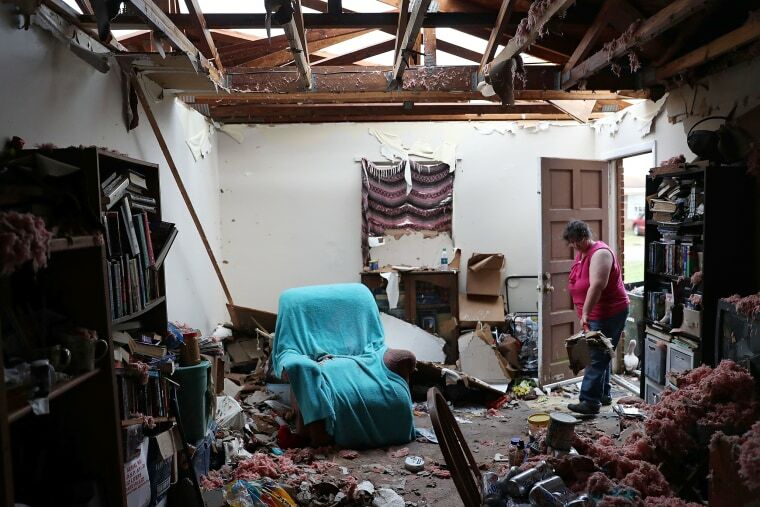 Amanda Logsdon begins the process of trying to clean up her home after the roof was blown off by the passing winds of hurricane Michael. 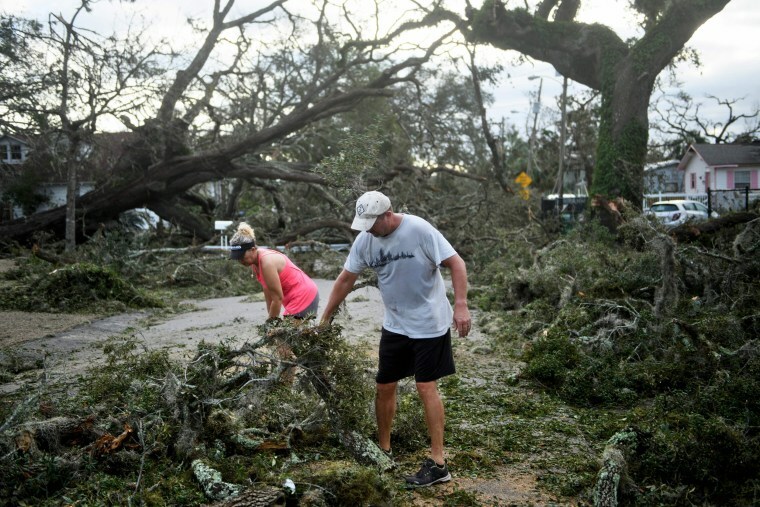 Residents clear a road of fallen trees. 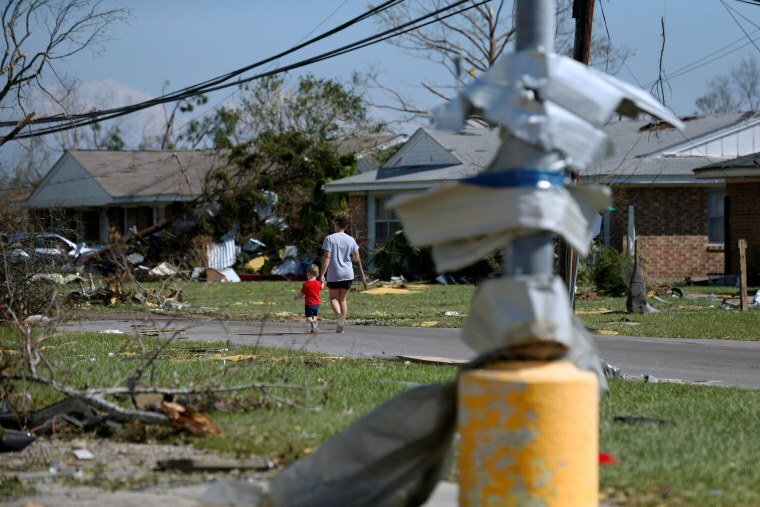 A woman and her children wait near a destroyed gas station after the storm passed on Oct. 10. Boats that were docked are piled on top of each other at a marina. Shredded trees, derailed train cars and a sunken trailer lie next to a road in the storm's aftermath. Haley Nelson inspects her family's destroyed house. 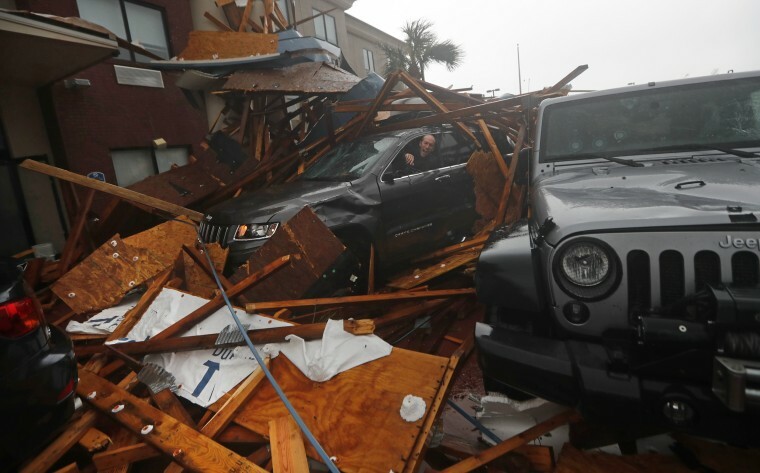 A woman checks on her vehicle just after the hotel canopy collapsed as Hurricane Michael passed through. 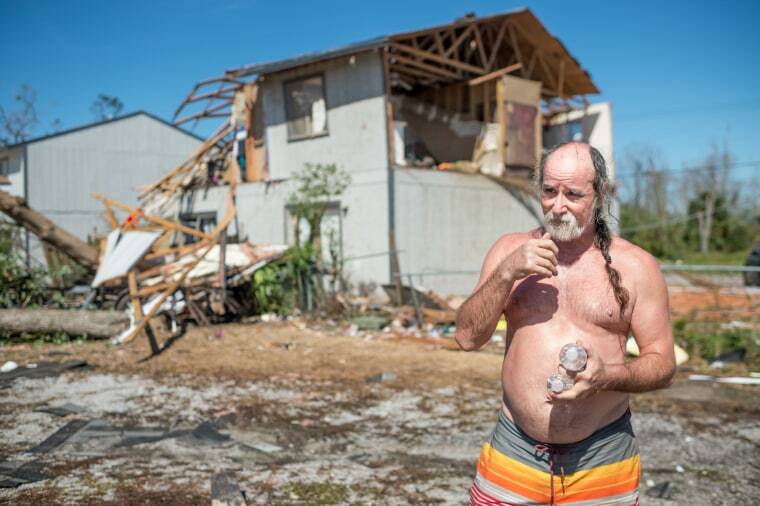 Hurricane Michael made landfall in Florida on Wednesday afternoon as an intense Category 4 storm — the strongest ever to hit that part of the state in recorded history, with winds gusting at 155 mph. 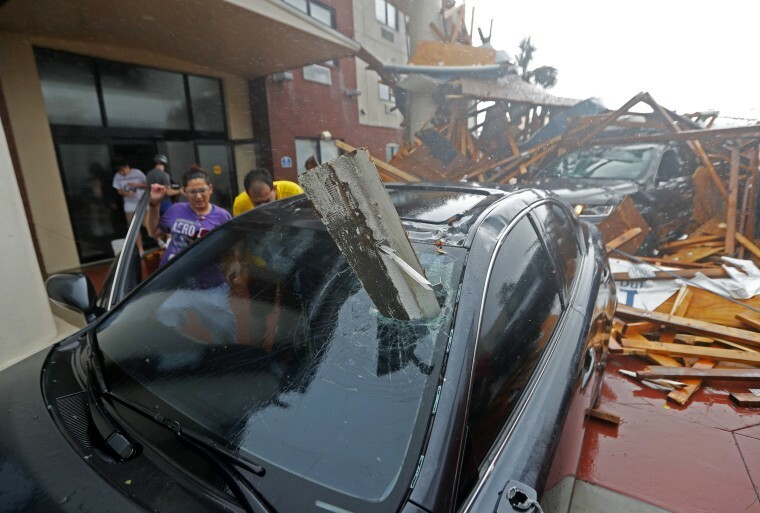 A storm chaser climbs into his vehicle as the eye of the storm passed to retrieve equipment after a hotel canopy collapsed. 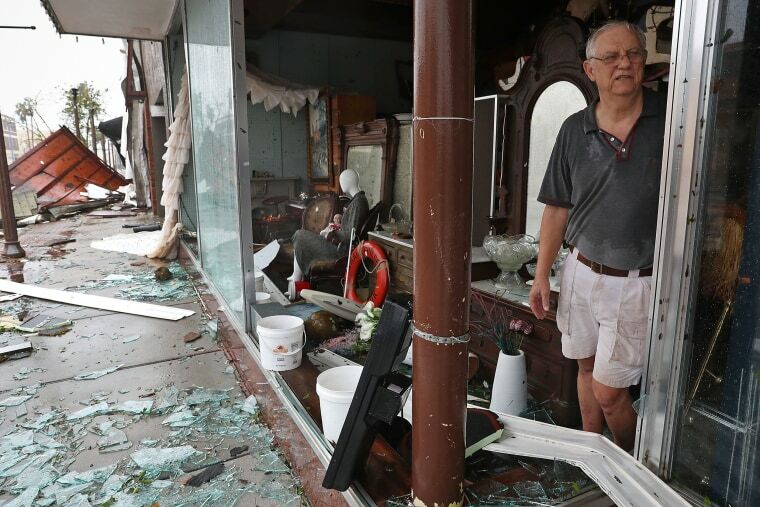 Mike Lindsey stands in his antique shop after the winds from hurricane Michael broke the windows in his shop. A tree is downed in front of a damaged home. 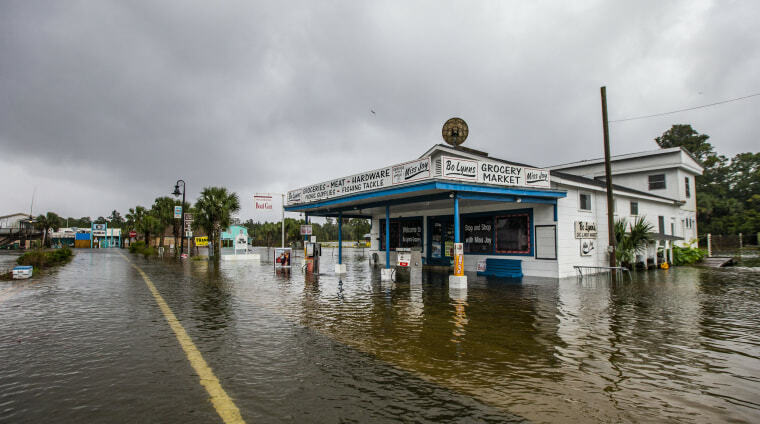 Bo Lynn's Market starts taking water as Hurricane Michael pushes the storm surge up the Wakulla and St. Marks Rivers. 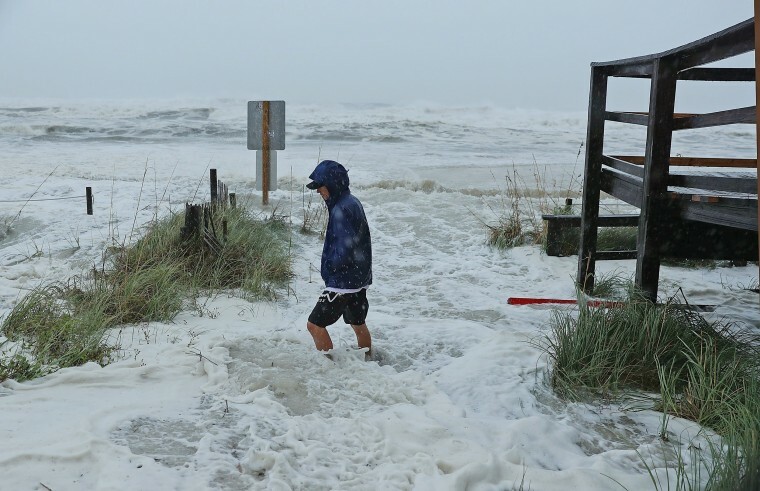 Cameron Sadowski walks through crashing surf on the beach as the outer bands of Hurricane Michael arrive. 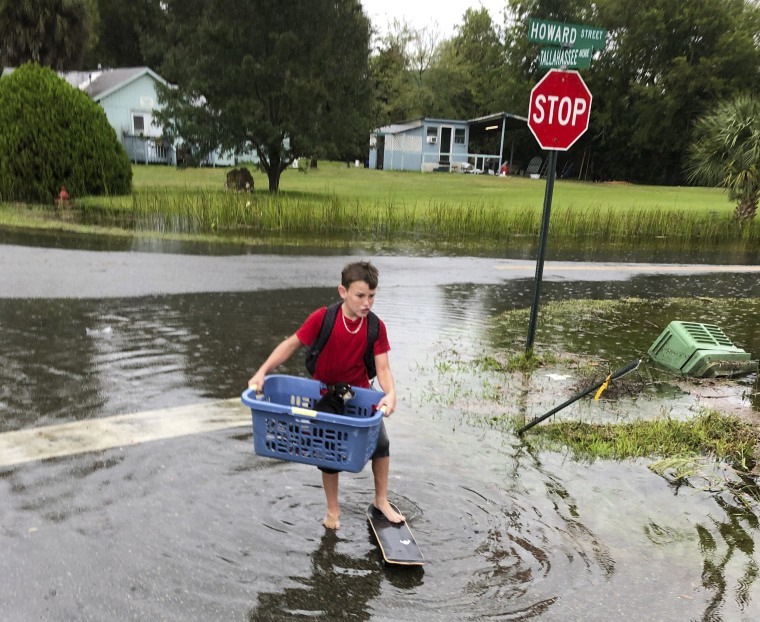 Carrying a dog, Jayden Morgan, 11, evacuates his home as water starts to flood his neighborhood in St. Marks. 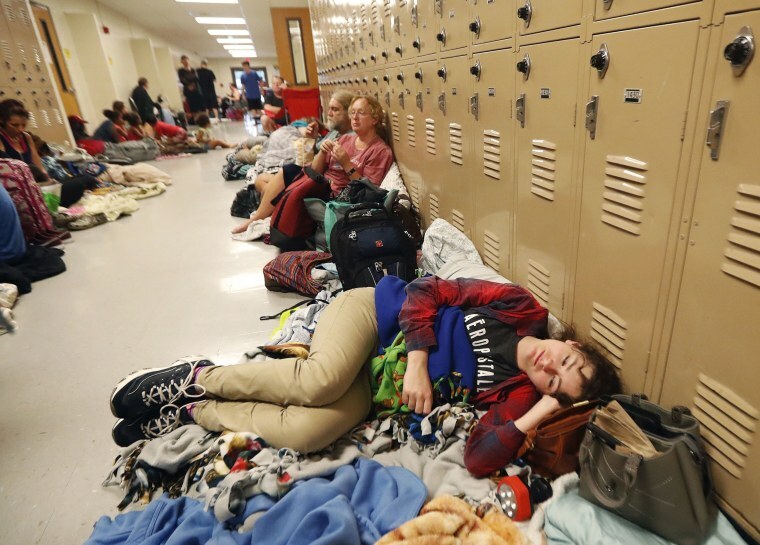 Emily Hindle lies on the floor at an evacuation shelter set up at Rutherford High School. Waves crash along a pier. The Gulf Coast resort town — and the larger destination of neighboring Panama City — has beckoned vacationers and spring break partiers for decades with its emerald waters and sugar white sands. 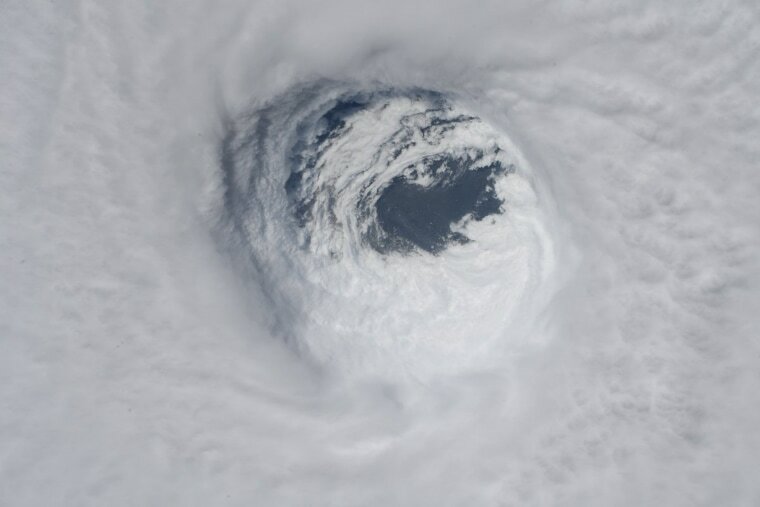 Hurricane Michael churns in the Gulf of Mexico in this view captured from the space station. "Stay safe America," tweeted astronaut Serena Aunon-Chancellor. 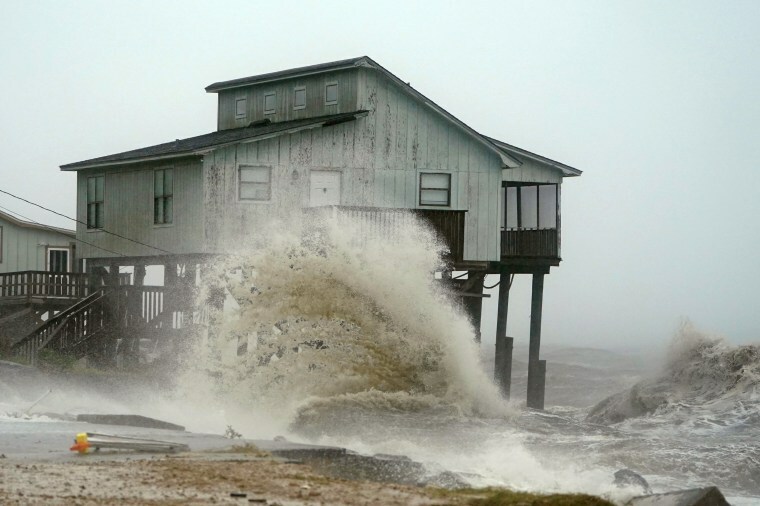 Waves crash against a house as Hurricane Michael comes ashore. 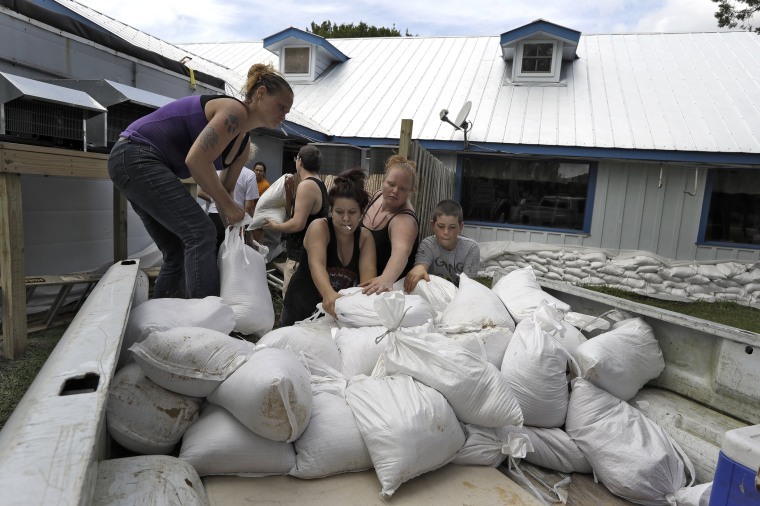 Krystal Day, of Homosassa, Florida, left, leads a sandbag assembly line at the Old Port Cove restaurant as employees try to protect the restaurant from floodwaters. Carol Cathey paints the words "Calm down Michael" on the plywood over her daughter's business. People take photos on the beach the night before the storm's arrival.